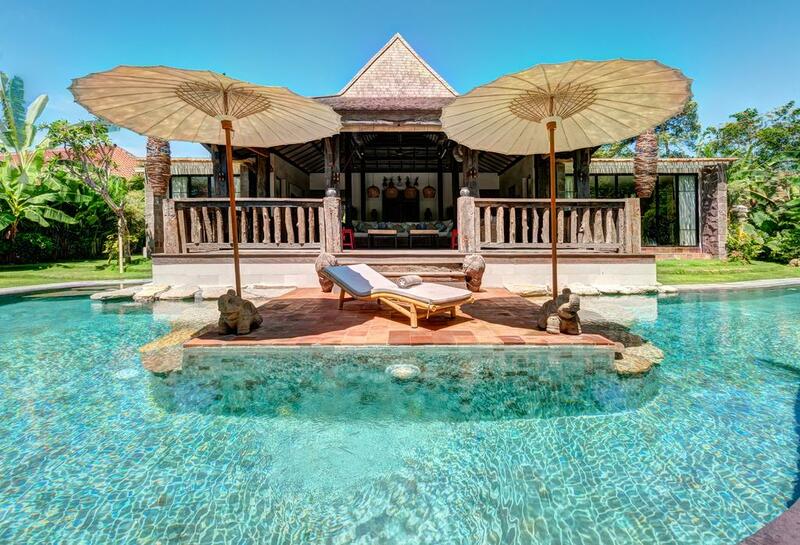 An exceptional villa built on 3 levels with a large terrace roof and stunning views at 360 degrees on Bali, its rice fields, volcanoes and the Bukit peninsula to the south. Strictly selected materials, worked with originality, exclusive amenities and decorations, furniture mottled with the greatest attention. Profusion of living areas for giving everyone the privacy he wants. 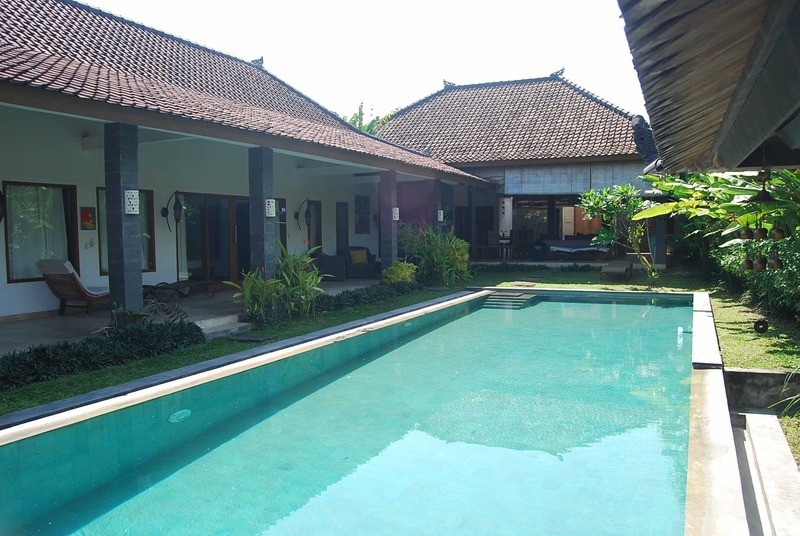 On the second floor there is a cozy bar away from the main living room and the large terrace overlooking the luxuriant garden and the pool made of local stone.